RedBubble Pty Ltd (a proprietary limited company abbreviated as ‘Pty Ltd’ is an Australian business structure) advertises in 2015 as follows: ‘Gerhard Richter Style is also available as Throw Pillows, Drawstring Bags, Art Prints, Canvas Prints, and Posters’. 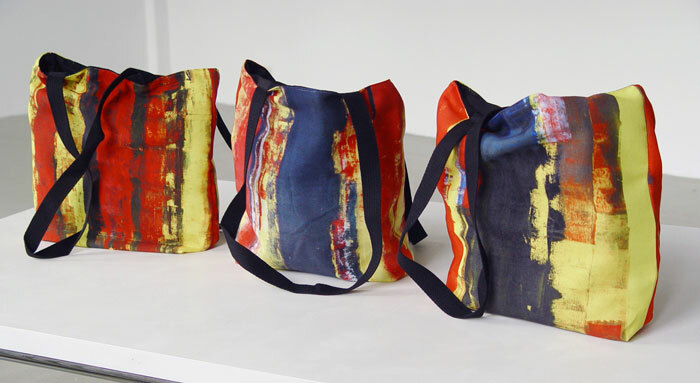 Here three tote bags inspired by abstract paintings of Gerhard Richter directly referring to subsequently “Abstracts Bild I”, “Abstracts Bild V” and “Abstracts Bild IV”. For some reason in 2018 these products are not offered anymore by RedBubble Pty Ltd. In stead a company called Society6.com and FineArtAmerica.com have started to sell similar products. 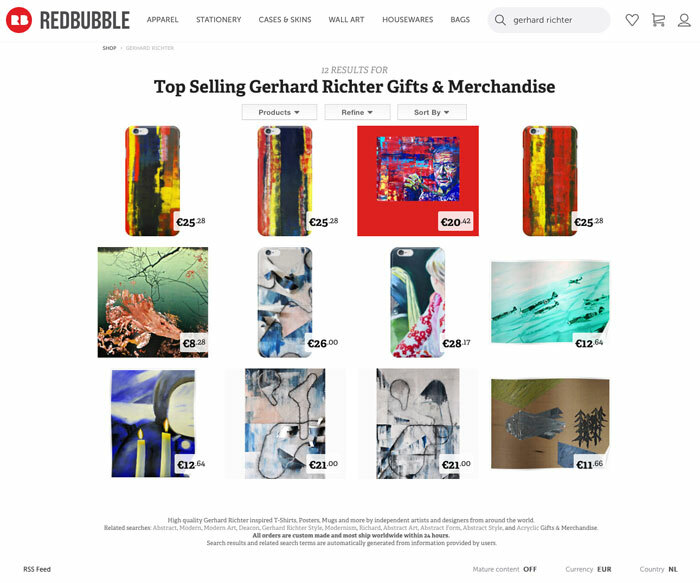 RedBuble Pty Ltd sells not only in-the-style-of, but also merchandised Gerhard Richter products. 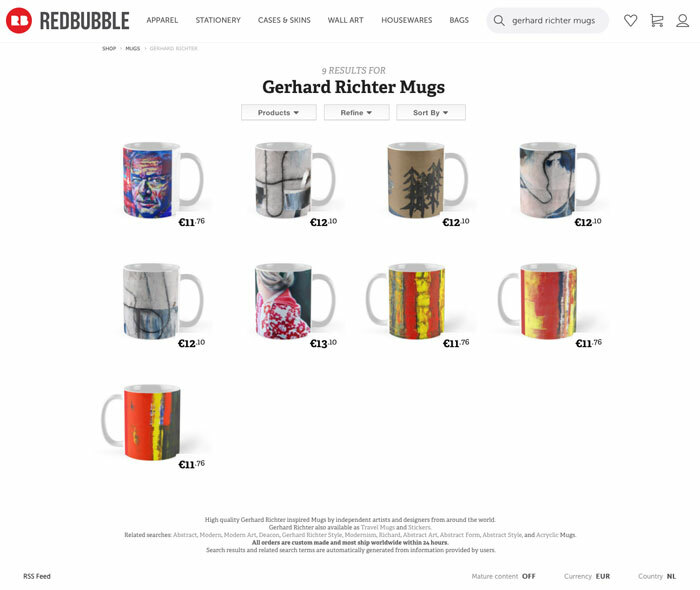 See more at RedBubble Gerhard Richter products.